I only attended the Saturday session, but it was packed. Reception started at 9:30 am and was followed by the opening ceremony at 10am where they introduced the DMs for the day. Gaming started at 10:30am and continued until 7pm with a few breaks decided by the table. After that, closing comments, announcements, and a raffle with tons of prizes. 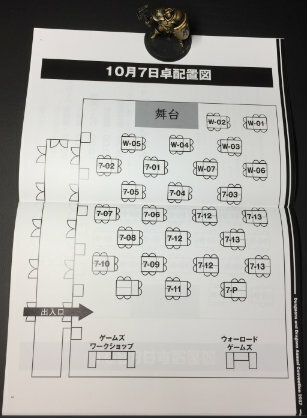 Convention Layout – the bottom two tables were Games Workshop and Warlord Games booths where you could talk with reps and try painting miniatures. 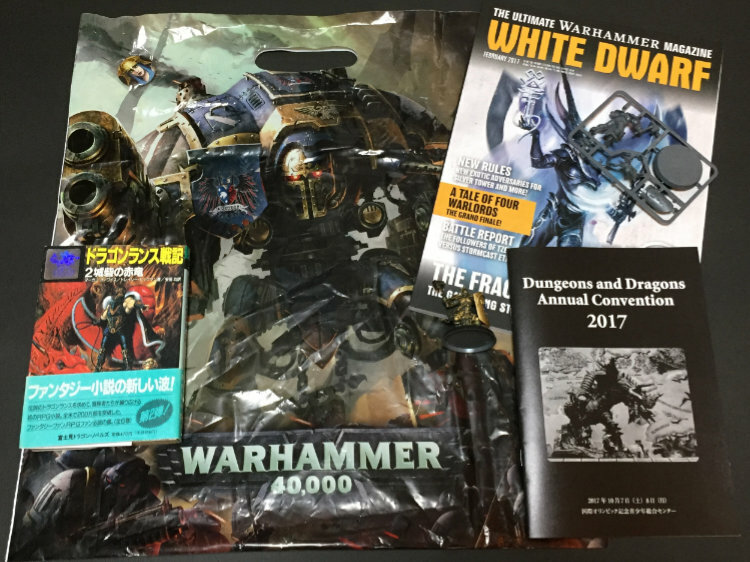 There were a few freebies that everyone received: an issue of White Dwarf, a Age of Sigmar figure, and button. Loot! The DragonLance novel was not part of the admission freebies. The types of scenarios really spanned a wide range, from dungeon crawls to city adventures and then some. 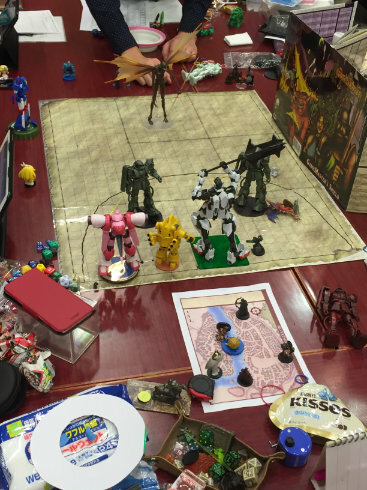 Perhaps one of the most unique was a fusion of D&D 5e with giant robots that was run by ぱらでぃん, with the players actually using plastic giant robot models and the DM providing mech rules. 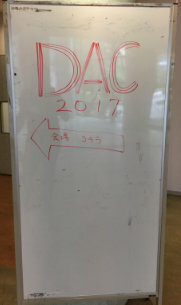 Registration for DAC happens in multiple phases if there are spots still left, and same day participation is also possible in sessions that have not filled up. All sessions take place in Japanese, but they do have varying degrees of English language support. Each session is marked with basic attributes: beginner friendly, experienced players, English support, and prior preparation required. One interesting thing about public gaming events in Japan is that people tend to not use their full, or even real names. While it’s common to use a handle online, this practice carries over to in person as well, with people putting their handles on their name tags and also verbally addressing people by their handles. ArcLight Games, a Japanese game publisher, announced that they’ll be releasing the Japanese editions of the Pathfinder beginner box and card game this December. They also hinted that it may be making its debut at this fall’s Tokyo Game Market. The core rule book will be published next year. Day Dream Cafe is celebrating their 15th anniversary. DAC in Tokyo happens only once a year, but there are other regional DAC conventions as well. 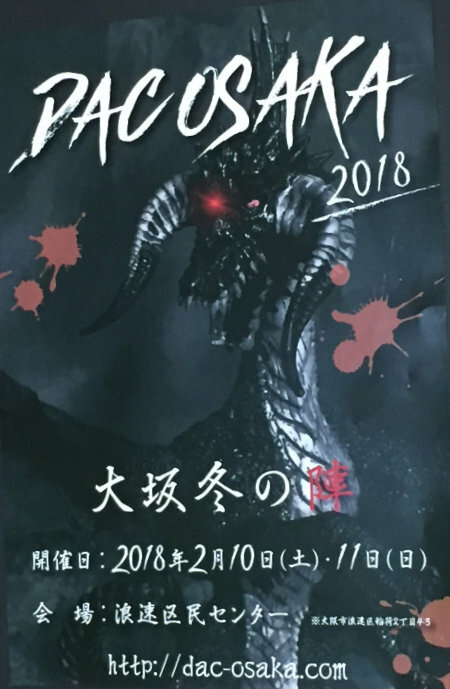 For those of you in the Kansai area, DAC Osaka will be happening February 10th and 11th. 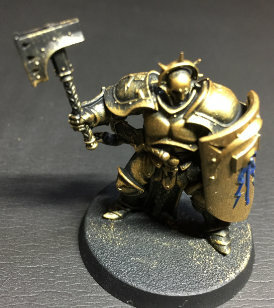 Games Workshop made some announcements, with one of the highlights being Shadespire. Games Workshop had a booth show casing their history as well as their newest releases, but not actually selling any merchandise at the event. One of the nice things about DAC is that it is focused entirely on playing games. They also offered a chance to try painting miniatures, with you getting to keep the miniature you paint. The booth staff was very friendly and mentioned that the stores stock both Japanese and English editions. He also mentioned that the Harajuku store has English speaking staff. I gave painting a brief try during a break in the game, so didn’t get very far, but enjoyed it. 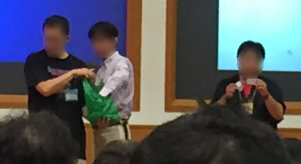 After the announcements there was a raffle with a ton of prizes contributed not just by companies, but individuals as well. 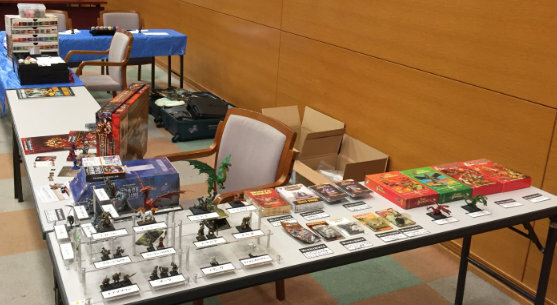 The prizes ranged from RPG books and box sets to miniatures and dice trays. There is a raffle on both days, and I was impressed by the generosity. 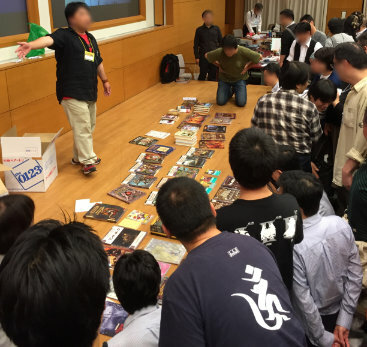 The raffle was then followed by one of the long term community members giving Gathered around hoping for a chance at precious treasures….away a lot of older RPG and related books, which drew a huge covetous crowd. They drew names to determine the order in which people could pick one item they wanted. 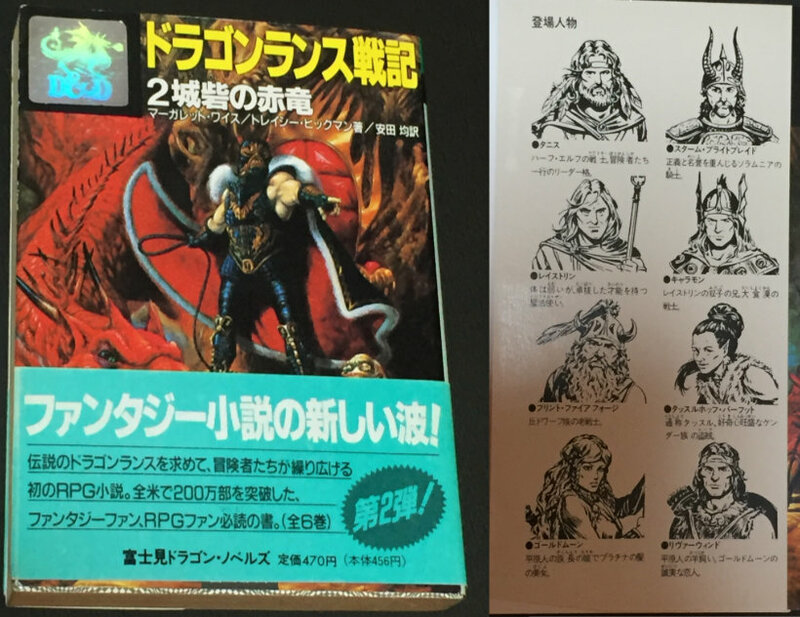 I was towards the end, but was able to snag the second half of the Japanese edition of DragonLance – Dragons of Autumn Twilight.